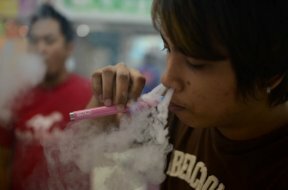 One in four teens who use electronic cigarettes have tried “dripping” liquid nicotine directly onto the heating coils on the devices to get thicker clouds of vapor, a new study suggests. Big U.S. tobacco companies are all developing e-cigarettes, battery-powered gadgets with a heating element that turns liquid nicotine and flavorings into a cloud of vapor that users inhale. 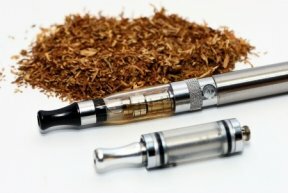 For the past decade, public health experts have debated whether the gadgets might help with smoking cessation or at least be a safer alternative to traditional combustible cigarettes, or whether “vaping” e-cigarettes or vape pens might lure a new generation into nicotine addiction. The current study suggests at least some of the answers to these safety questions may have to account how people use e-cigarettes to get their nicotine hit, said Dr. Suchitra Krishnan-Sarin, a psychiatry researcher at Yale University School of Medicine in New Haven, Connecticut. While e-cigarettes may contain fewer toxicants than traditional cigarettes, they do contain chemicals like propylene glycol and glycerin, “which when heated at high temperatures like with ‘dripping’ can produce high levels of carcinogenic compounds like aldehydes,” Krishnan-Sarin added. “E-liquids also contain many flavor chemicals such as aldehydes, vanillins and alcohols which are considered safe for ingestion, but little is known about the toxicity of inhaling these chemicals, especially when they are volatilized at high temperatures,” Krishnan-Sarin said. To assess how often teens tried “dripping,” researchers examined 2015 survey data from 7,045 students in eight Connecticut high schools. Overall, 1,080 teens, or about 15 percent, said they had tried e-cigarettes, researchers report in Pediatrics. About 26 percent of e-cigarettes users had tried dripping. Most often, teens did this to produce thicker clouds of vapor, though they sometimes tried dripping to enhance flavors of the liquid nicotine or to heighten the feeling of smoke inhalation in the throat or lungs.